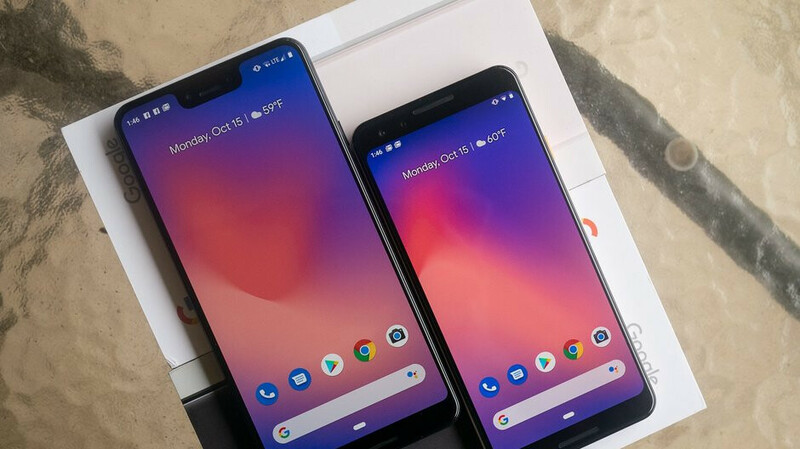 Google announced today that it has released the Android Q Beta 2 update for all three generations of Pixel phones. The first Beta update for the next build of Android was disseminated last month. Google says that it has received thousands of bug reports (a good reason to hold off installing Android Q until the stable version is ready). The company adds that it is happy to have a "passionate community" helping it to move toward releasing the final version of the new OS build later this year. A new feature found in Android Q Beta 2 is called Bubbles, which is built over the Android notification system. Floating on top of an app, Bubbles follow you all over the OS, allowing you to carry the functionality of an app with you no matter where you end on Android Q. Google says that Bubbles is perfect for messaging apps because you can carry a conversation with you even as you move from app to app. 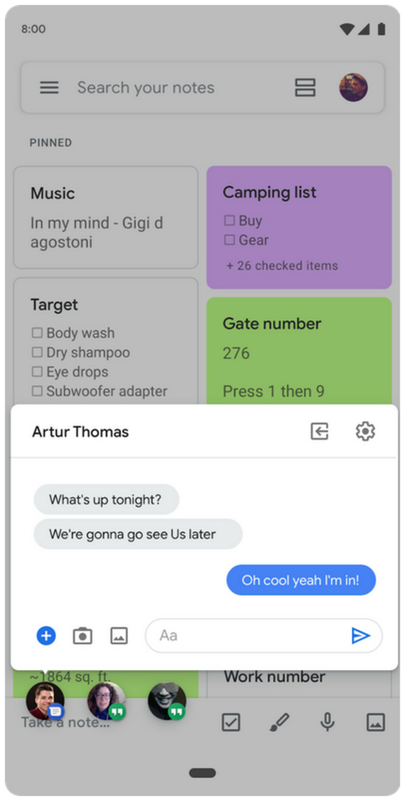 Google has given Bubbles many of the capabilities found with similar features on various apps, but wanted to implement its own version to "make interactions consistent, safeguard user privacy, reduce development time, and drive innovation." The first major manufacturer to release a foldable will be Samsung when the Galaxy Fold is launched on April 26th. To help Android developers write apps for these handsets, Android Q Beta 2 comes with a foldable device emulator. To match up with the screen sizes of the Galaxy Fold and the Huawei Mate X, the emulator has two different hardware configurations. One folds from a 4.6-inch screen to a larger 7.3-inch display (Galaxy Fold), while the other goes from 6.6-inches to 8-inches (Mate X). The emulator is available as an Android Virtual device in Android Studio 3.5, found in the canary release channel. Android Q Beta 2 adds a new API that will give developers the ability to choose which side of a device's microphone to use when recording audio. Google gives an example of a user shooting a selfie video; the developer can request that in a situation like that, the front-facing microphone (if there is one) can be called upon to capture the audio. An API (Application Programming Interface) basically allows apps to communicate with each other. Speaking of APIs, Google has already announced its goal to use public APIs only, which have been released to, well, the public. Other APIs are private and any changes to them might not be passed along to developers. This could degrade a user's experience with an app. By now, you might have come to the realization that there is a risk installing a Beta version of any software on your phone. Some features related to the everyday use of your handset could be compromised. Nonetheless, if you are determined to install Android Q Beta 2 on your Pixel, head to the Android Beta for Pixel website. From there you can opt-in to receive the updates. It could take 24 hours to hit your Pixel, and you can check to see if it has arrived by going to Settings > System > Advanced > System updates. To make sure that you are running a beta version of Android, go to Settings > About Phone > Build number. If the build number starts with QPP, it means that yes, your phone has the beta version of Android Q installed. And when you're ready to opt out and go to a public build, go back to the Android Beta for Pixel website, click on the Devices tab, select the appropriate phone and click on opt out. Within 24 hours you will receive an update that will wipe all user data and reinstall the latest public build of Android, which is currently Android 9 Pie. Never thought I'd ever say this but... It seems like Google is finally running out of ideas! Consider it a HUGE compliment. Android Pie is so polished and refined that it's pretty darn hard to top it. About the only thing I don't like about Pie is the gesture based navigation which seems less like a feature and more like a desperate charade to imitate iPhone X's gestures. Google may want to learn a thing or two from Apple. Or perhaps Blackberry... Palm... Xiaomi, even. Oh well, G'Day! Unless Google is trying to make it all the way to Z, I'd like to see them start putting their resources towards the Fuscia OS.